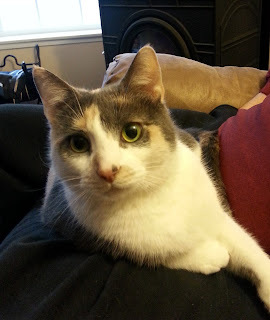 Please welcome Eva Caye to The Far Edge of Normal. She has numerous hobbies, but her latest is bobbin lace. I love fiber arts, but this one looks too complex for me! All photos in this post are hers. She was kind enough to explain it to me and share her fascination. 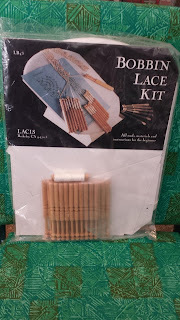 Bobbin lace is a complex knotting and weaving of thread to make decorative lace. 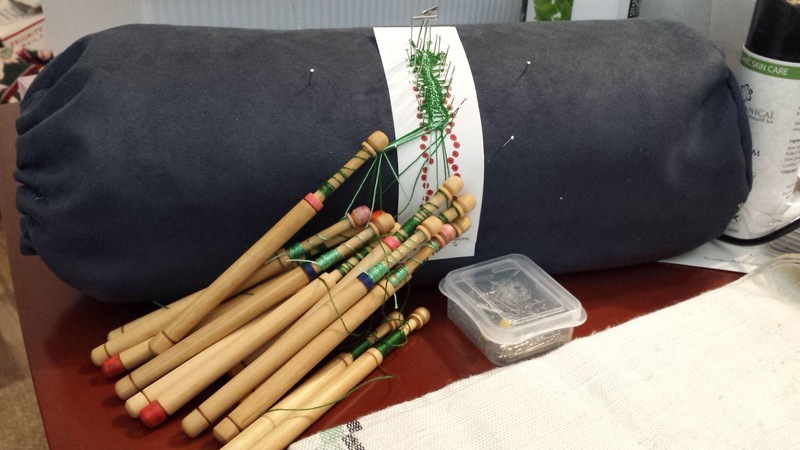 Wood bobbins are used to hold the thread, which is pinned to a pattern on a pillow or bolster, as you work. You can use two types of pillows. 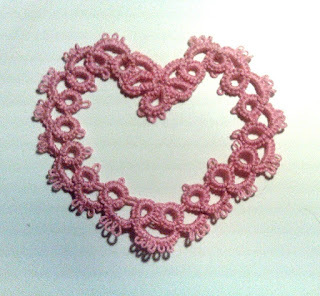 I made my own circular one, which is for long laces, and then there are flat ones, which are for bigger laces like collars or hankies. 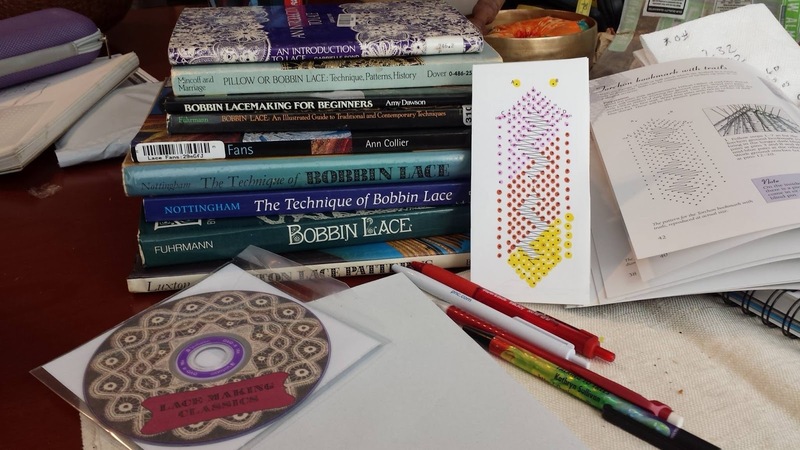 What got you interested in bobbin lace? and thought, "Oh, too complicated. I could never do that." 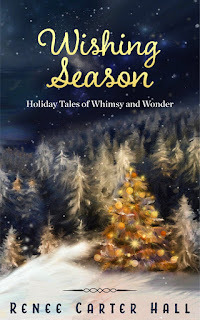 But one of my Facebook friends said it was pretty easy all told, so I started the way I usually do: getting tons of books on the subject! There are many more bobbin lace books out there than there are tatting books, so you can get them fairly cheaply. I don't know if I spent more than $4 on all but one of these books. The CD was more expensive at $6.95 (eBay). And on the right is a pricking that you use to make the design. So where would you suggest people start if they're interested? After buying the books of course! 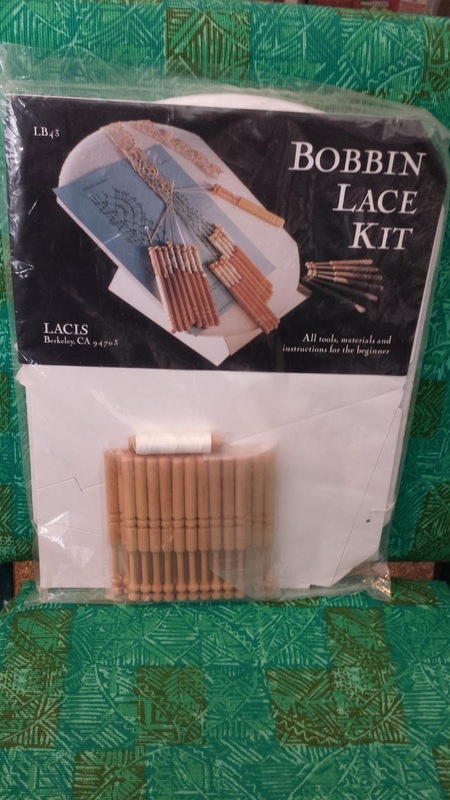 You can make it easy on yourself and get a kit -- Lacis makes these. Or you can do the freakish crafty thing and assemble everything yourself! 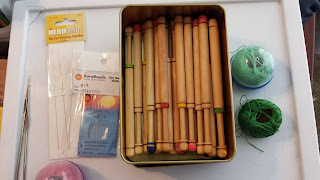 I purchased the bobbins unfinished, sanded them, and color coded them by pairs before treating them with boiled linseed oil. 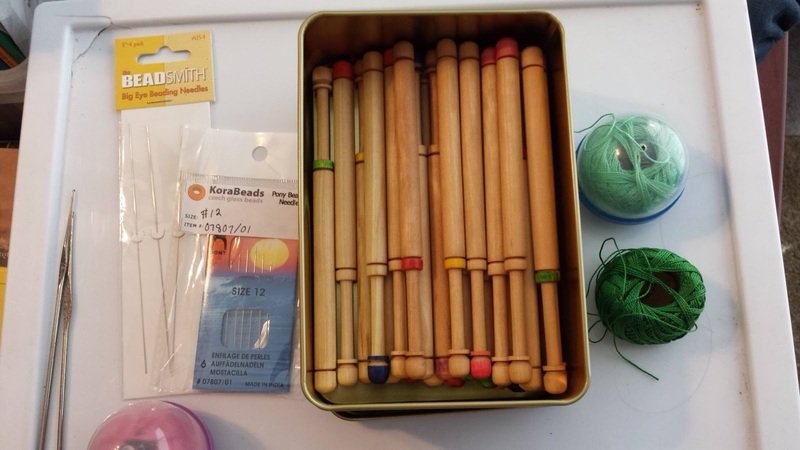 Also pictured: a size 13 crochet needle or beading needles, and thread -- this picture shows pearl cotton size 8. You also mentioned you enjoy tatting. Please tell us a little about that. 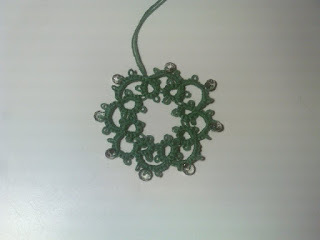 Tatting is fascinating because you need so very little to do it, and you can do it just about anywhere. If you know how to shuttle tat, all you need is a shuttle, thread, and something to cut it with. I tried for about five months to teach myself to shuttle tat, 20 minutes a day, but when I discovered there was such a thing as needle tatting, I was utterly amazed at how easy that was! I've only ever seen the shuttle tatting. 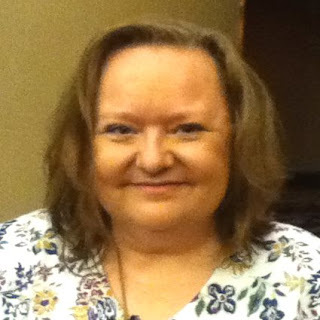 Can you explain more about needle tatting? It sounds almost like tatooing. Hah! Yeah, that's what makes it hard to find things on eBay -- their search engine likes to 'interpret' what you type! it's so easy because there are only two stitches you can make, and you usually make them together: two half-stitches makes the 'normal' stitch. 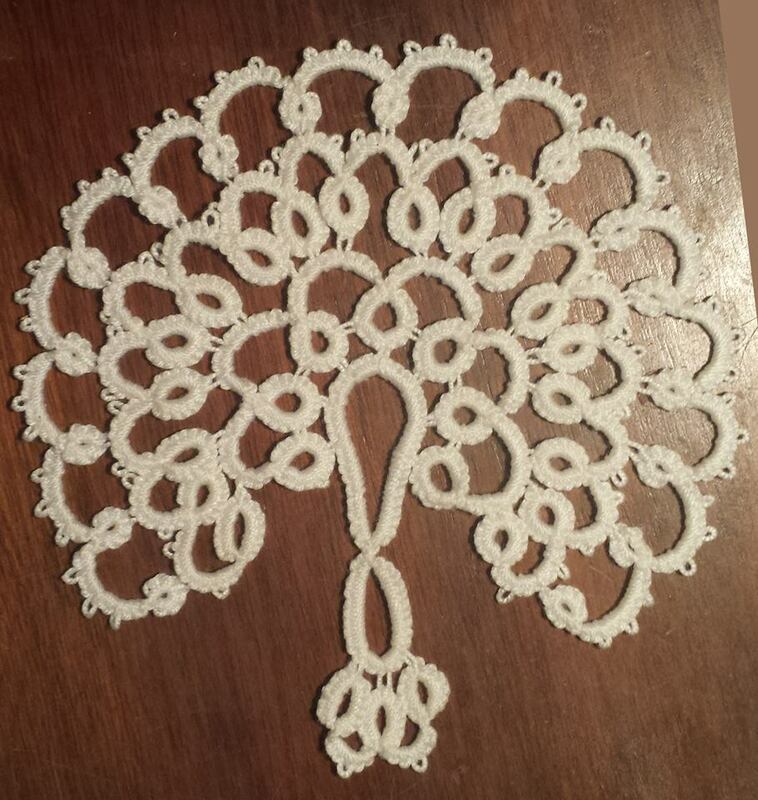 There are occasions you can do a half-stitch in rows, but needle tatting makes it so easy because your stitches are automatically uniform. Beautiful work! One last question, why do you do lace work? To be honest, I'm a pretty rough-and-tumble kind of gal. 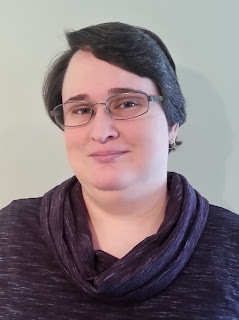 I learned how to crochet from my grandma when I was eight, took it up again in college, dabbled whenever I wasn't reading, and realized all along that I was 'rough' on my yarn. I decided I needed to learn something delicate! Tatting came first, and shuttle tatting is supposed to be easy but I couldn't get the trick of it. Needle tatting is much, much easier! And, on that first bobbin lace project, what's supposed to be a caterpillar is more like a centipede because I'm strangling the threads too tightly, hahahaha! 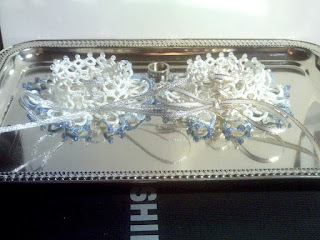 Anyway, both tatting and bobbin lace take time and gobs of patience. 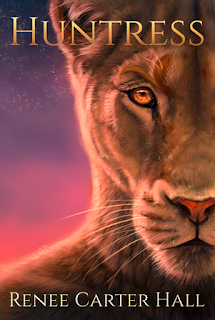 You'll pick out a lot of your first pieces, but that'll just teach you more about how the threads set and so forth. Actually, in my book Fidelity the main female character does tatting (and all kinds of crafty things). I even have her making Imperial emblems! Thanks so much for sharing this fascinating look at lacemaking! Eva Caye also writes books - check them out!